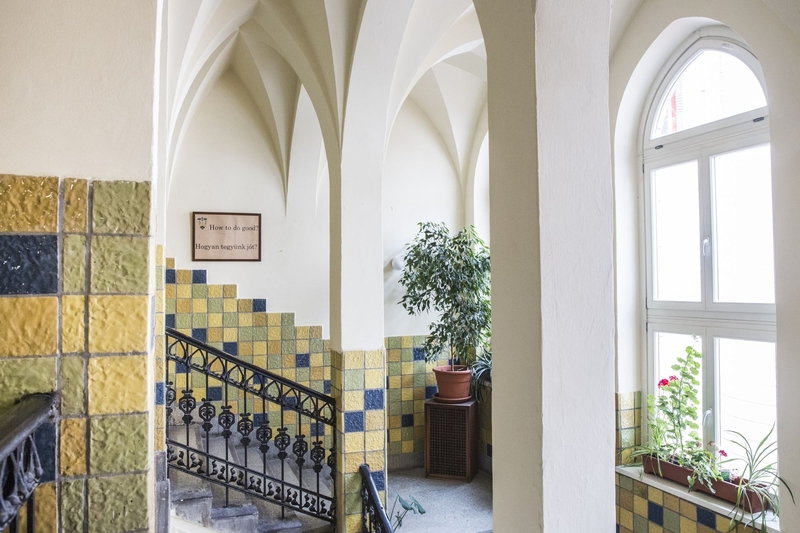 As we approach the history of the Jewish Mission in Hungary, let us take an imaginary walk from the infamous underpass of Nyugati railway station along the bleak and gray Podmaniczky Street to the corner of Vörösmarty Street. There are certain parts of the city where houses have been built on stilts – wetlands may be drained, but not completely eradicated. As we near Andrássy Street, on the left we can see a giant building complex on two separate lots. 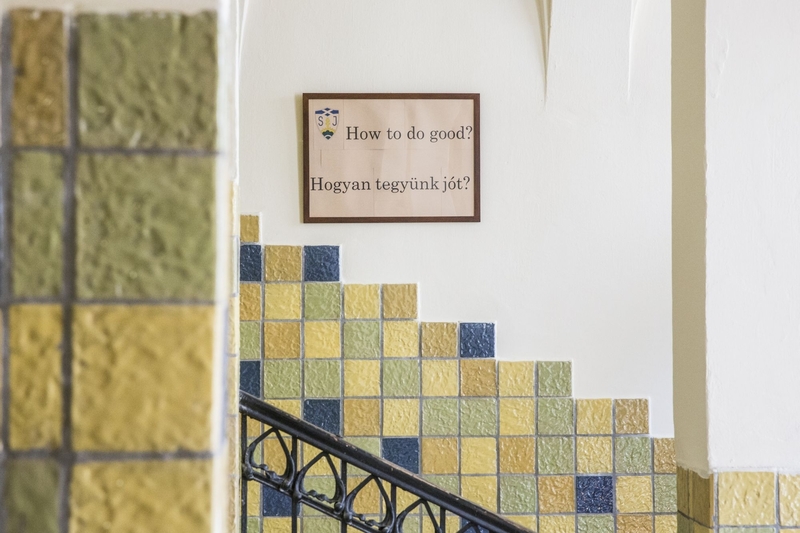 The teachers of the state-run Vörösmarty Mihály Elementary School kept wondering for years what could lie beyond the immured door that they found in the school building. When, after the fall of Communism, the minister of the neighbouring Scottish congregation knocked on that door, it turned out that the school is basically its own neighbour, as the building, completed in 1910, used to be the home of the school of the Scottish Mission, Scottish missionaries and the congregation. To this day, the left-side entrance of the building complex, standing ajar, belongs to St. Columba Scottish Congregation. Inside, the high walls hint at a church space, and we can see a Syrian couple drinking tea at the large table of the entrance hall. The Puritan church interior on the right is furnished with Thonet chairs from 1910, and a creaking flight of stairs leads to two offices: the refugee mission office, which moved here in 2015, and the pastor’s office. During school hours, the cool and quiet walls repeatedly become animated by the tone of the school bell coming from the school operating on the other side of the giant building. So in this way, there is movement between the two sides of the door, even if it is not direct movement: the doors previously walled in are broken down by human connections and the desire to help. 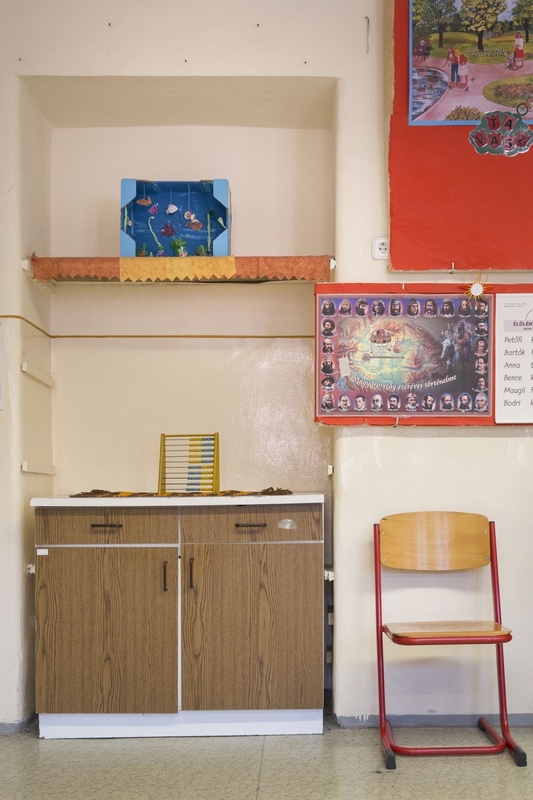 It was Vörösmarty Elementary School that did not hesitate to take in refugee children in the middle of the school year when a wave of refugees arrived in Hungary. Doing so, although at the time they were not aware of it, they continued a centuries-old tradition, as the institution started out as a haven for Christian and Jewish girls in need. It all began about seven years prior to the Hungarian revolution of 1848, when Scottish missionaries arrived in Budapest to provide pastoral care to the Scottish labourers working on the construction of the Chain Bridge, and also to carry out mission activities in the fervour of the religious awakening following the French revolution. The world was changing fast, the population was growing, and the realisation that there was a whole world out there waiting to be won over to Christ captured the imagination of people in the church as well as laymen. The Church of Scotland was the first and only church which was able to enlist more than a handful of cash-strapped enthusiasts to engage in mission activities in the Jewish community: they managed to involve university professors and scientists in this great endeavour. Advocates of millennialist theology believed that Christ would return to judge the living and the dead when each and every member of the Jewish community – the chosen people – has converted. The work of Scottish missionaries, which was the basis of not only the Scottish Mission in Hungary, but also several congregations, was supported by Archduchess Maria Dorothea until the reprisals following the revolution. She was a devoted Lutheran, who attributed prophetic and eschatological importance to the foundation of Jewish missions. 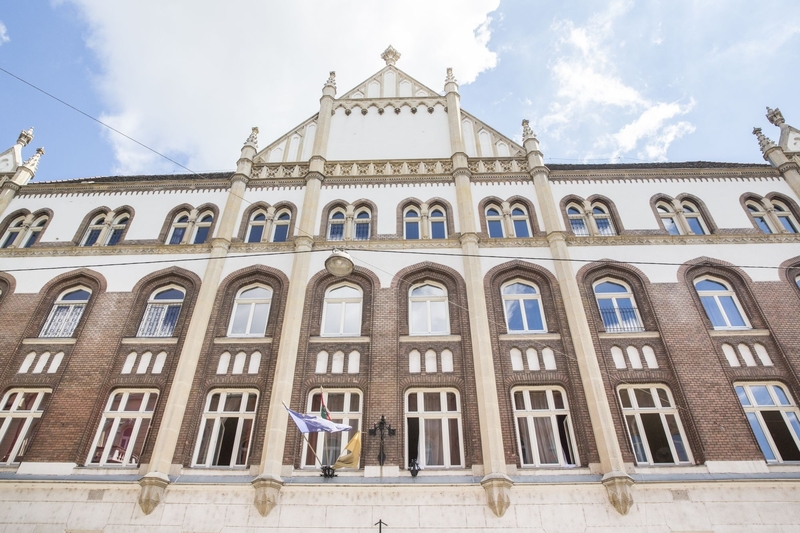 The Jewish Mission became so significant in Hungary that in April 1927 it was here that the International Hebrew Christian Alliance, which incorporated most mission societies at the time, held its conference. The first Scottish academic pastor, John Duncan, arrived in Budapest on 20 August 1841. The following Sunday a board meeting was held with the participation of Christian Britons living in the city. The meeting was attended by only two Jews: Israel and Adolf Saphir, who wished to strengthen their social ties and their English language skills. Two years later the whole family had been converted by the mission. Philip Saphir gave up his career in medicine in order to establish a Sunday school, out of which grew not only the later school, but also several religious activities that are still relevant today. 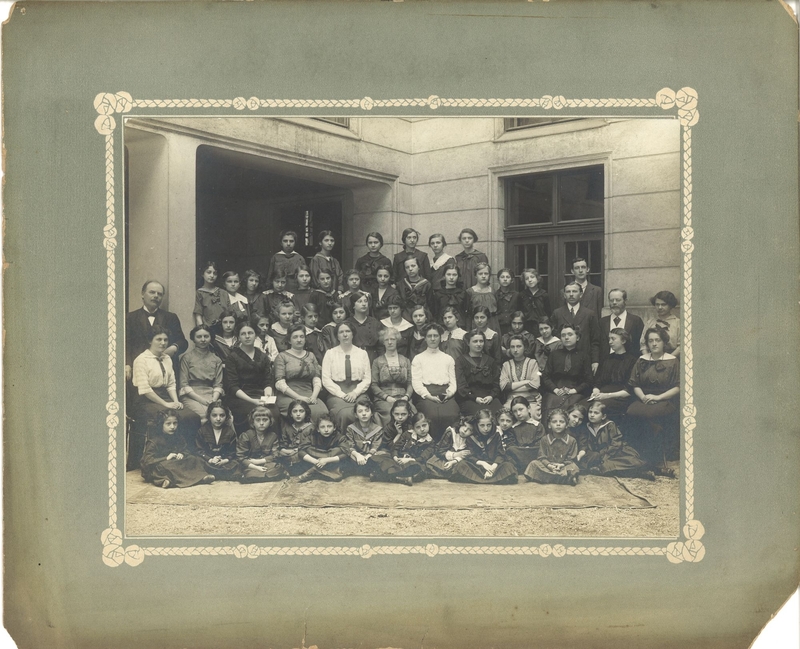 The first class of students began their education in 1846 at the officially recognised elementary school of the Scottish Mission, but by the beginning of the 20th century it had become clear that it would have to continue as a school only for girls. 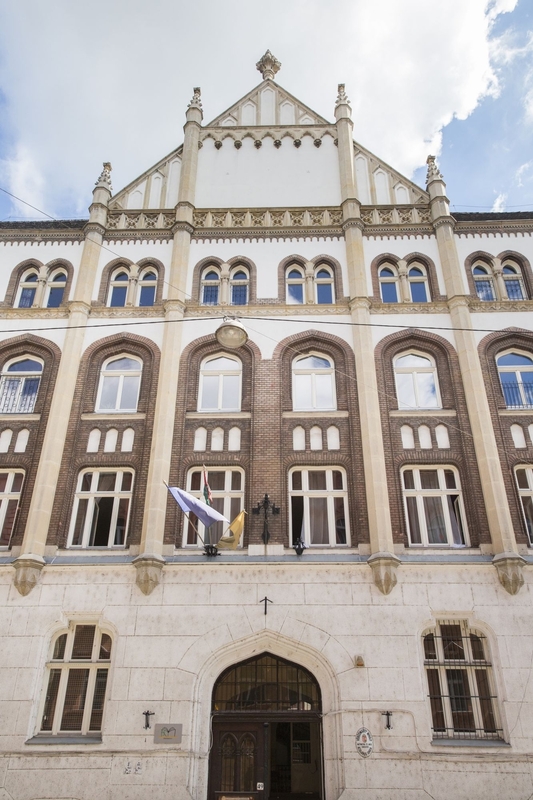 The mission’s building in Vörösmarty Street, today divided by immured doors, was completed in 1910, housing the girls’ home, the schools, the rooms of the missionaries and the chapel. 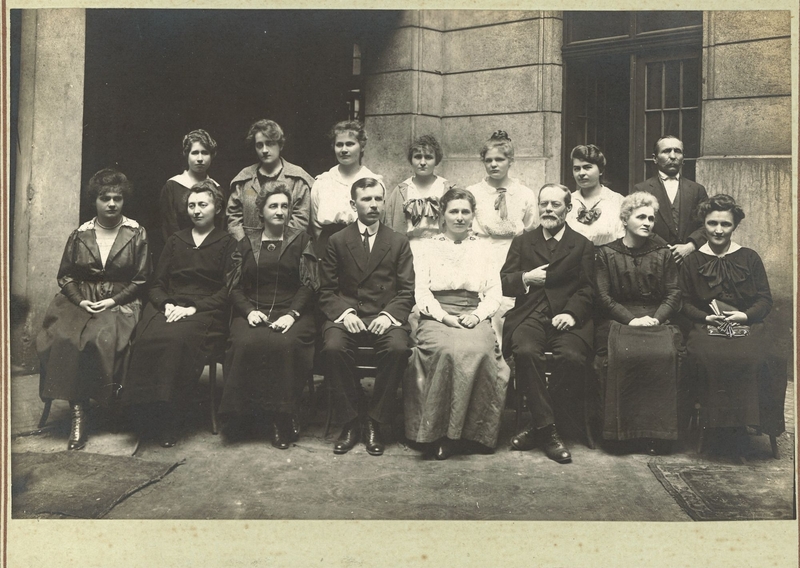 By this time, the first Scottish mission director, Margit Prém, also of Jewish origin, had lived there with the students of the school for three years. 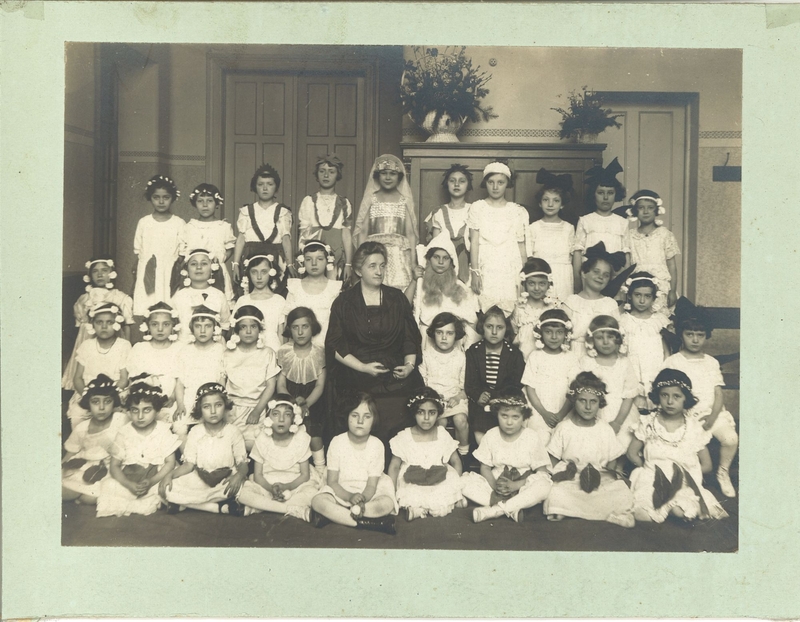 By the year 1913, altogether over twenty-five thousand children had attended the school. 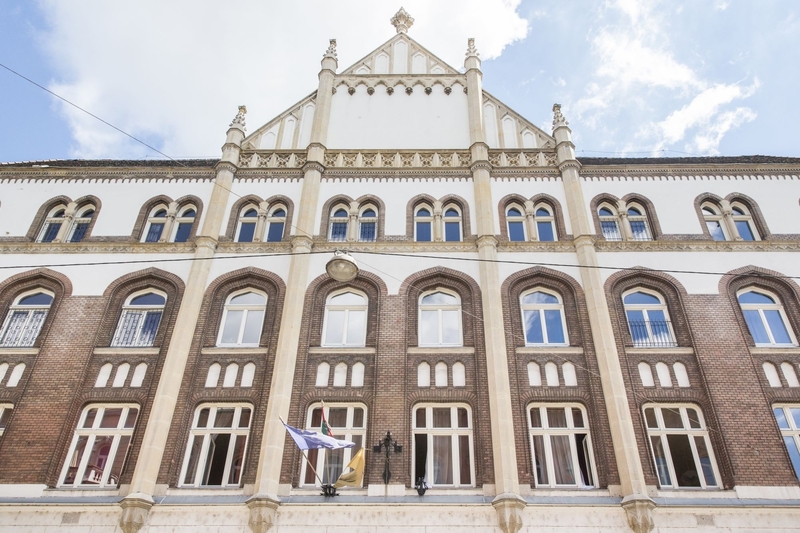 The objective of the institution was to acquaint students with the concept of Christianity and a Christian way of life, while at the same time emphasising the respect for Jewish life practices. George Knight, the pastor who was the leader of the mission between 1935 and 1941, firmly believed that Christianity could never be complete without the Jewish. As a Scot, Knight had strong sympathy for the Jewish nation, and said that any “even unintentional slighting of things Jewish is something foreign to the spirit of Christ”. The teachers maintained an interest in the fate and faith of their alumni even decades after the school was nationalised in the 1950s – as indicated by the attendance list of student reunions, where the names were annotated with short remarks, such as how to properly address the former “Scottish” girl, or whether one of them was in need of prayer, pastoral care or some other form of help. 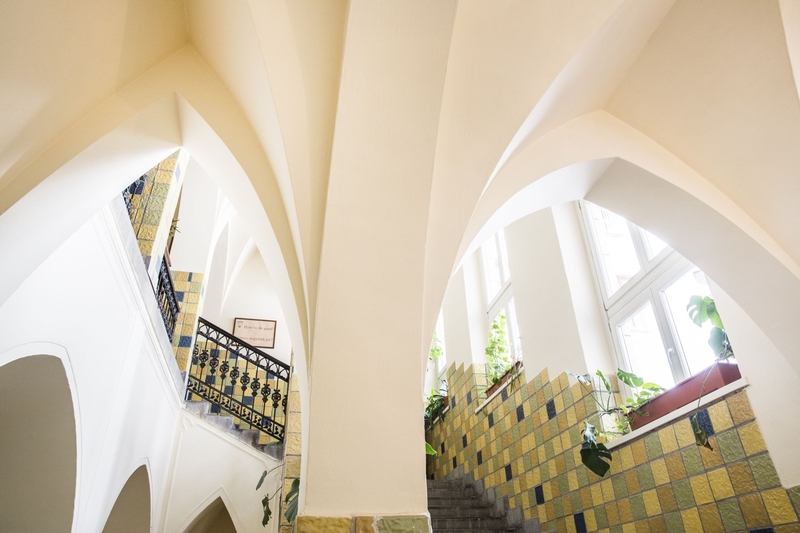 In 1935, when the 25th anniversary of the school’s Vörösmarty street building was celebrated, a figure of ten thousand students was mentioned, seventy percent of whom were Jewish, and nine hundred of whom had been baptised. Many of the girls came from a poor background, suffering from various health problems. There were some who, although surviving infantile paralysis, were never able to learn to walk; while others were forced to become the breadwinners of their families at the age of twelve. 1932 was the year when a woman of great significance arrived at the mission; her name was Jane Haining. She worked as the matron of the school with outstanding enthusiasm until the day she was arrested in 1944. 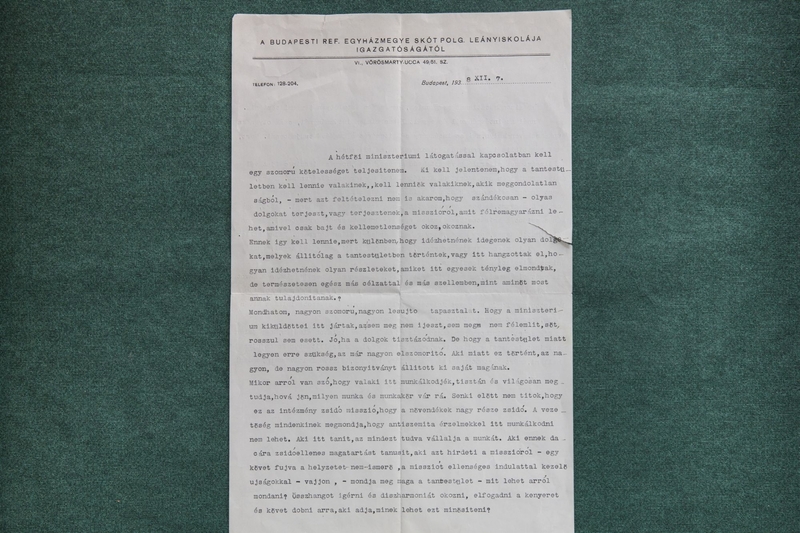 It was thanks to her that the school could operate with the help of a state loan for a lengthy period – the document attesting to this fact was signed by Prime Minister László Bárdossy himself. 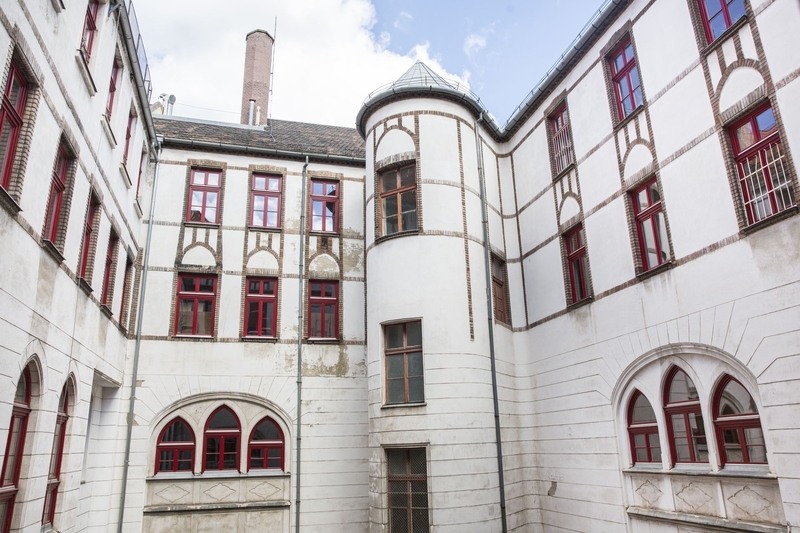 Through her tireless efforts, the head of the dormitory managed to find funds to renovate the school building that had become decrepit during the crisis of the thirties. She personally removed the yellow star from the girls, saying it was not necessary there. She stood out with her ability for teaching religion and with her devotion to children already at a young age: as she herself lost her mother when she was little, it was obvious to her that she should become a mother to orphans in need. Even before the possibility of foreign mission arose, she left her office job and resolved to work in a girls’ home. The sensible and practical way of thinking typical of Scots led her to believe that God guided her not with the supernatural words of some kind of knowledge, but in everyday, natural ways, such as the copies of a Scottish mission magazine, Life and Work, which she received from a fellow church-goer. It was this reading material that step by step revealed the road ahead of her, leading to Budapest. She arrived in Budapest in 1932, at the age of thirty-five. The work of the mission had been suffering for a long time because of the difficulties affecting the whole country; at the time, there were only thirty girls living in the home, many of whom had backgrounds much below the average. In 1939 there were obvious signs of an earth-shattering danger never experienced before: the extremely and shamefully deteriorated relations between Christians and Jews revealed the possibility of unimaginable terror. The Jewish Mission Committee of Edinburgh was of the opinion that the solution to the so-called Jewish problem was to be found in Christ. The school building was heaven compared to the aggressive anti-Semitism of the outside world. 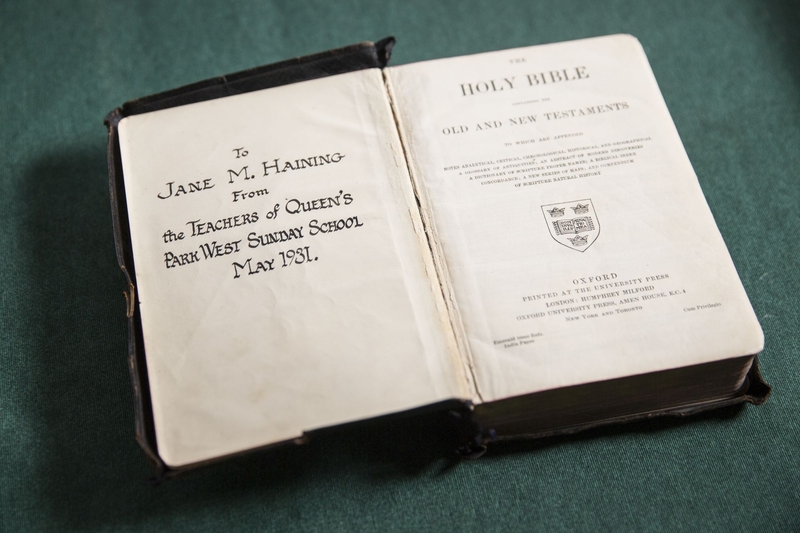 “We have been enabled, even in a small measure, to lighten the lot of an oppressed people…” wrote Jane Haining in one of her letters home, and she was positive that their efforts would lead those they serve to understand the true nature of Jesus’ redeeming love. A Hungarian bishop, László Ravasz, later reported that “her superiors three times ordered her home, but she always replied that the Hungarian people were so true-hearted, honourable and chivalrous that among them not a hair on her head would be touched. ‘I shall continue to do my duty,’ she declared, ‘and stick to my post.'" She was arrested by the Gestapo in the spring of 1944 on the basis of an anonymous denunciation. The charges included that she had worked amongst the Jews; that she had wept when seeing children wearing the yellow stars; that she had dismissed her Aryan housekeeper; that she had listened to British radio programmes; that she had had British visitors; that she had visited British prisoners of war and even sent them parcels; and that she had been active in politics. Jane Haining only denied the last charge, saying that she had always been too busy to get involved in politics. 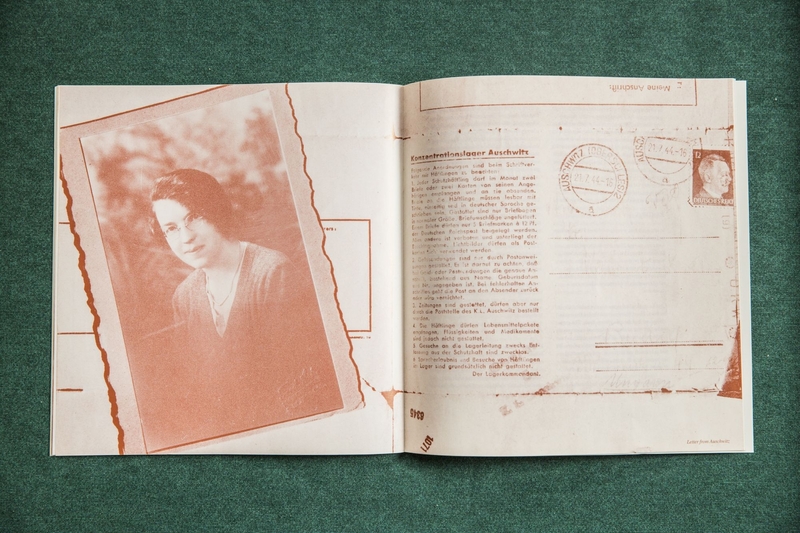 She received a parcel from her colleagues even in Auschwitz, which, through her, meant life itself to many others. 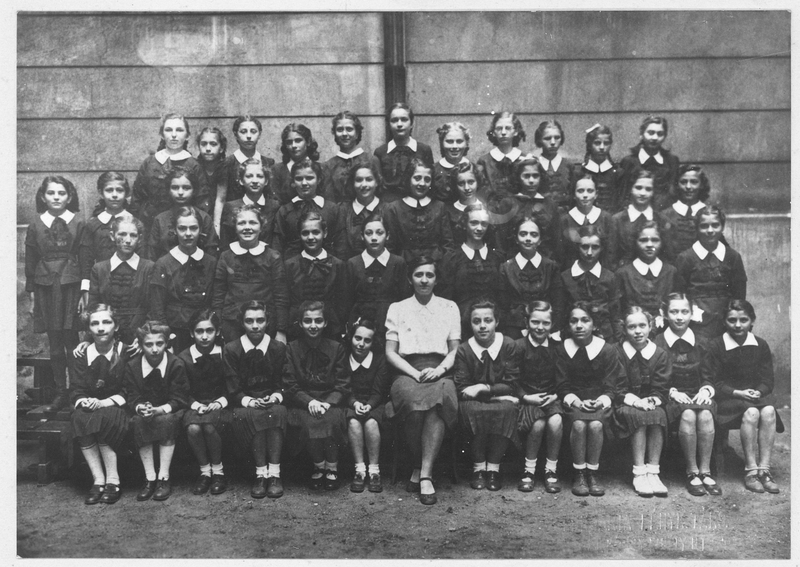 She wrote her last letter home on 15 July 1944: even then she was worried about the school. Prior to her death, the missionary, murdered together with her pupils, was tattooed with the number 79467. Dr. János Horváth is a distinguished professor emeritus of economics. He first entered public life as a university student via the Hungarian Independence Movement against Hitler and the Nazis. In December 1944, he was arrested and cruelly interrogated by the Hungarian branch of the Nazis, the Arrow Cross, in the occupied building of the Scottish Mission, and was saved from execution by the advance of the Soviet army into Budapest. A few years later he was again imprisoned – this time by the Soviet imposed Communist dictatorship. Meanwhile, he had been elected Member of the Hungarian Parliament in 1945, where he served until his arrest and imprisonment in 1947. He became a political leader in the 1956 Revolution against the Soviet occupation and communist dictatorship. Thereafter he lived in the USA for 41 years, where he was also active in public life. In 1998 he repatriated to Hungary and was elected to the Parliament in the ranks of the FIDESZ-Hungarian Civic Party for a second time, and in 2002 he was re-elected. Since 2014, Mr. János Horváth serves as Ambassador-at-Large in the Ministry of Foreign Affairs and Trade. In this video, he speaks of his rescue from the building of the Scottish Mission, where he was kept by the Arrow Cross Party. "It was the moment of my liberation..."
The Scottish Mission, which provided shelter to a great number of Jewish and Hungarian people, suffered substantial damage from bombs, but under the leadership of János Dobos, the new minister of the congregation, sufficient funds were raised to renovate the school building. By the time the rebuilding was completed, the school had been nationalised: while the doors were walled in, there were people standing in the street, crying. By the 1980s everyone had forgotten what was on the other side of the wall. 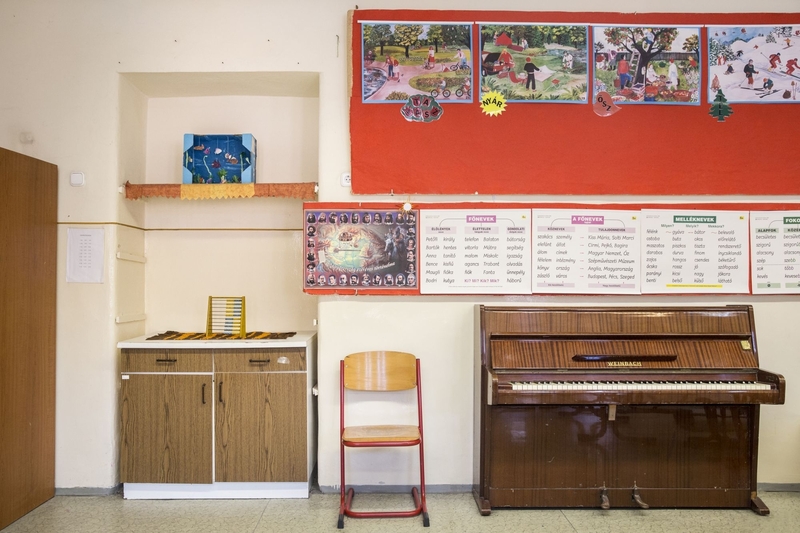 The rhythms of the church and the school did not meet until the beginning of the nineties when the then serving Hungarian minister knocked on the immured door to introduce himself. The martyred missionary is still remembered in Vörösmarty Street today. 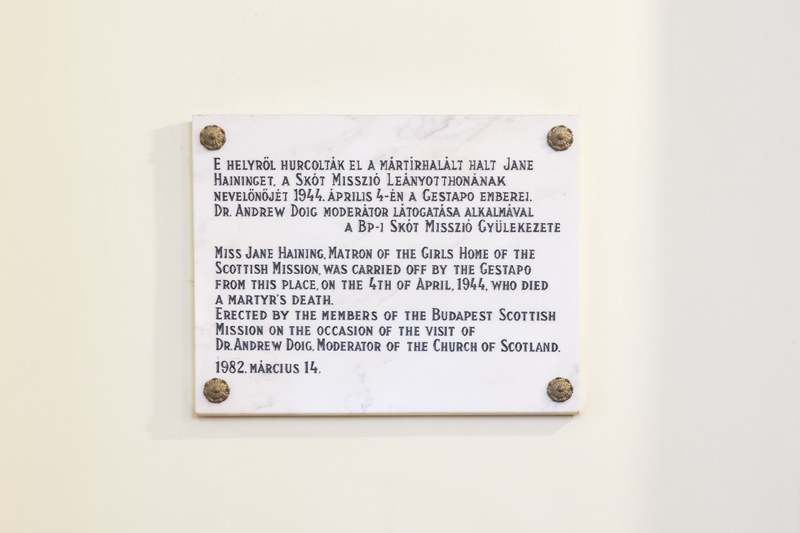 In 1982, Andrew B. Doig, Moderator of the Church of Scotland, visited Budapest and a marble plaque was unveiled in the church located in the school building. Two years later, the Federation of Hungarian Jewish Communities (MAZSIHISZ) also erected a plaque to commemorate Jane Haining. After the fall of Communism, thanks to the work of Scottish minister Susan Cowell, an English language competition was also named after her. In 2014 the documentary film titled Love, Jane was presented. The producer of the film has a family link with the Scottish Mission School, since she is the grandniece of Margit Prém, the first director of the Scottish Mission School and friend of Jane Haining. She said that the making of the film was inspired by photos, letters and other documents she found among family items. 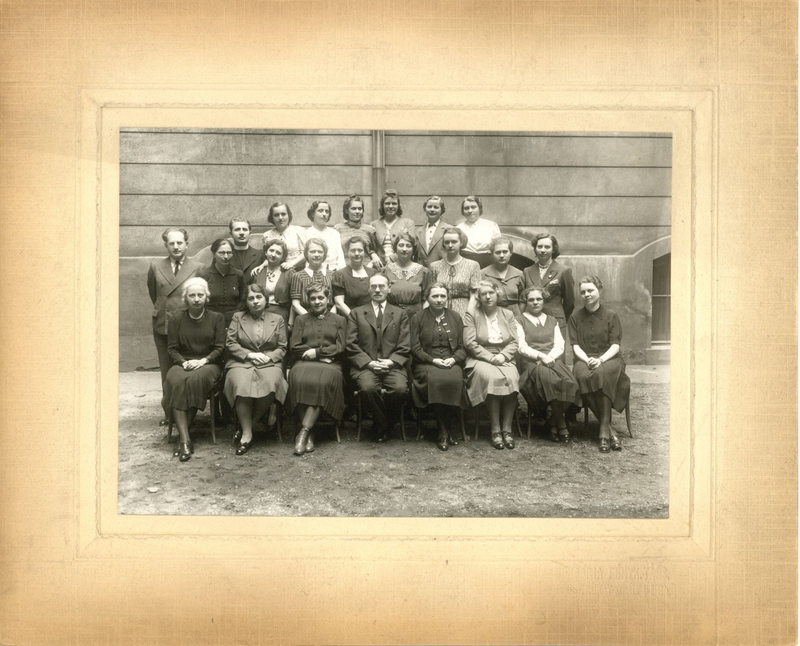 The documentary film is a beautiful piece of work that is based on interviews of former pupils, colleagues, church officials and researchers; research of family and archive documents; visits to the Scottish Mission Budapest, and Dunscore, Scotland. The documentary was filmed in Budapest and Scotland and it gives a picture of Jane Haining’s life, remembers the holocaust and motivates us to respect humanity. Though not a religious based film, Miss Haining’s faith and Christian living is clear in the film. Haining was born at Lochenhead Farm in Dunscore, Dumfries and Galloway, Scotland. She was the fifth child of Thomas Haining, a farmer, and his first wife, Jane Mathison, a farmer's daughter. She grew up as a member of the evangelical Craig church in Dunscore (Reformed Presbyterian until 1876, then Free Church of Scotland until 1900, and then United Free Church). She was educated at the village school, and won a scholarship to Dumfries Academy in 1909. She volunteered for service as a missionary in 1932, becoming matron of the girls' home at the Scottish Mission School in Budapest, Hungary. 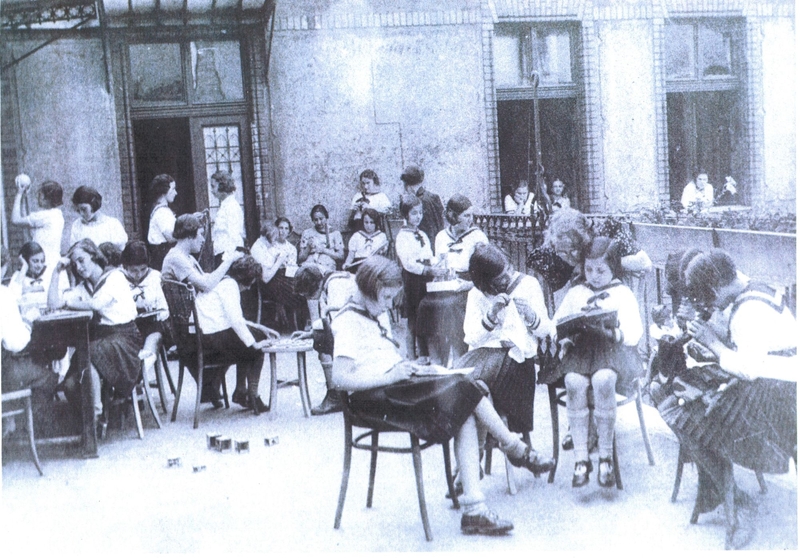 Haining looked after 50 of the school's 400 pupils (most of whom were Jewish), and quickly became fluent in Hungarian. She was holidaying in Cornwall in 1939 when the Second World War broke out and she immediately returned to Budapest. 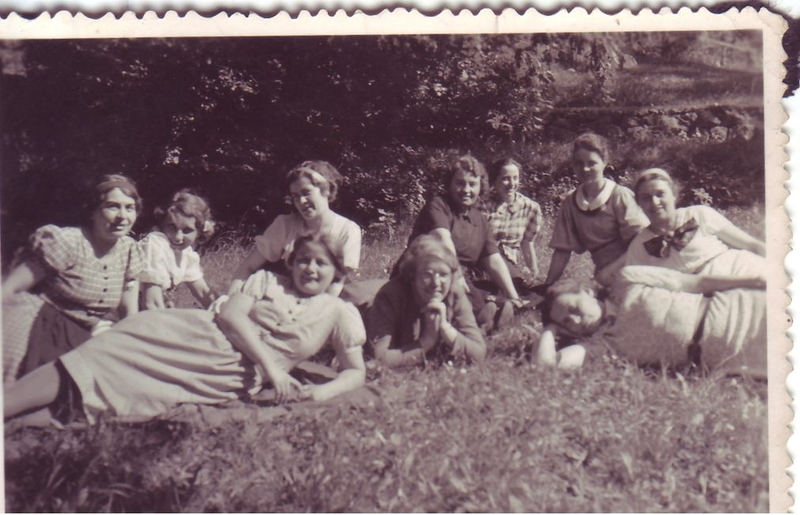 She was ordered to return to Scotland in 1940 but refused, determined to remain with her girls. After the Nazi invasion of Hungary in March 1944, she again refused to leave. She was arrested in April 1944 and detained by the Gestapo. 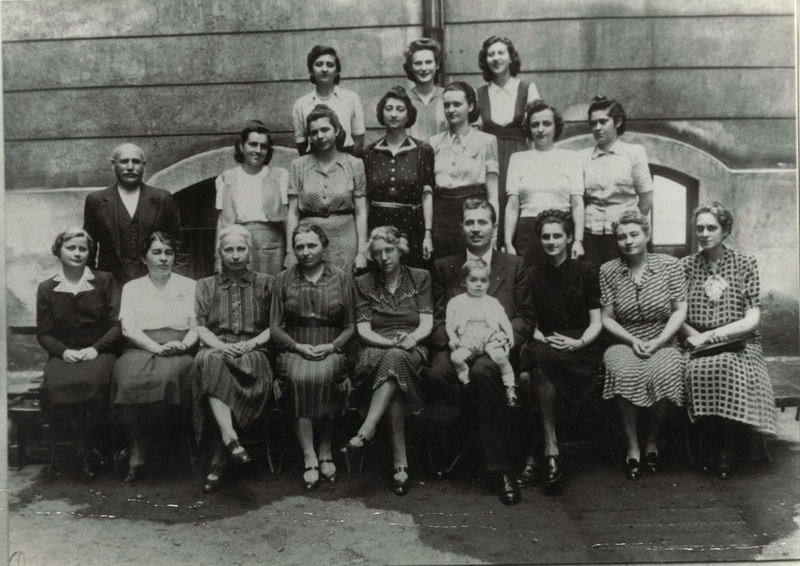 She was detained at Fő utca prison in Buda, and then moved to a holding camp in Kistarcsa. She was sent to Auschwitz in May 1944. She sent a last postcard on 15 July 1944, and died "in hospital" at Auschwitz on 17 July 1944, of "cachexia following intestinal catarrh", although it is thought that she may have died in the gas chambers on 16 August. The walls are still up between the church and the school – but these have never proved to be real obstacles for the spirit of the Scottish Mission. The school is open to visitors who would like to learn about the history of the mission. 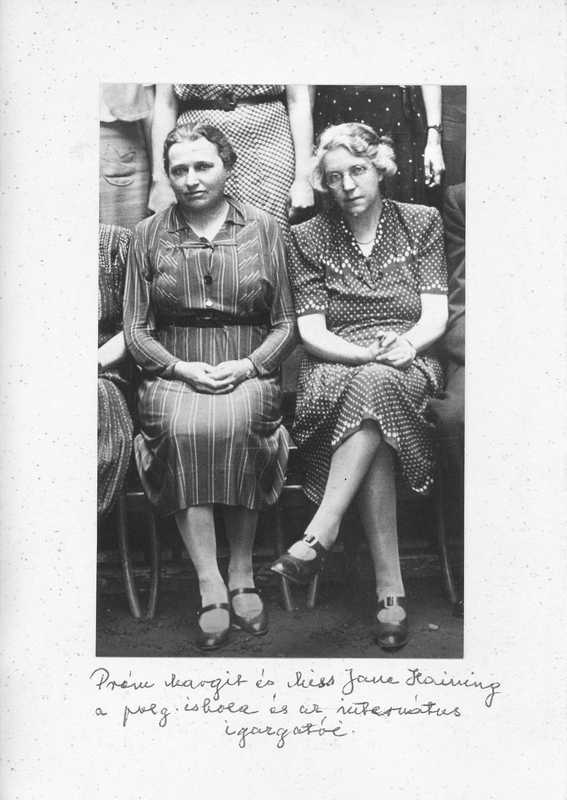 There is an exhibition about the history of the mission and the school, but there is more here than a mere display of photos and documents: the mother of one of the school’s current staff used to be a Scottish Mission girl. “And when will we commemorate Jane Haining?” asked an elderly lady during the commemoration of Gábor Sztehlo, a Lutheran minister who saved Jews. It was this way that the story of the Scottish matron became again a subject of public discourse. In 1997, she received the Righteous of the Nations Award despite the fact that she was evangelizing Jewish girls, in recognition of the fact that she never left them, even in the gas chambers. Her perseverance and the radicalism of her solidarity prove that the Jewish mission was more than evangelisation. The time to commemorate her again came in 2010: the fifth- and sixth-grade students of Vörösmarty School performed a play about the life of the matron at the Síp street centre of MAZSIHISZ. In the same year, a section of the Pest side embankment, between the Chain Bridge and Erzsébet Bridge, was named after her, together with eleven other people. This is a fitting location because many Jews had been shot into the Danube during the terror of the Arrow Cross Party. At the beginning of June 2010, the Municipality of Budapest made a decision according to which the parts of the lower embankment of the Danube river in Budapest would named after martyrs and persons who rescued Jews during the second World War. In this way of commemoration, the section of the embankment between the Chain Bridge and Margaret Bridge was named after Jane Haining. 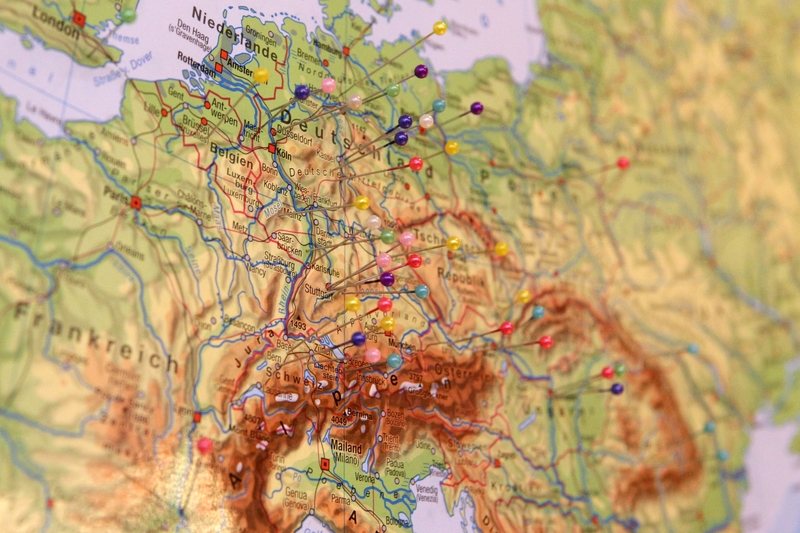 The Scottish Mission was established in 1841 with three objectives: evangelisation amongst the Jews; implementing a missionary attitude into Hungarian Protestant churches; and the pastoral care of the Scots living in Budapest. The situation is completely different today. After the Holocaust, the Jewish mission was discontinued, replaced due to the changed circumstances by Christian-Jewish dialogue. The only connection between the former Scottish school and the mission lies in the fact that the mission’s church is located in the school building. Yet something is breaking down the walls erected during the past decades. 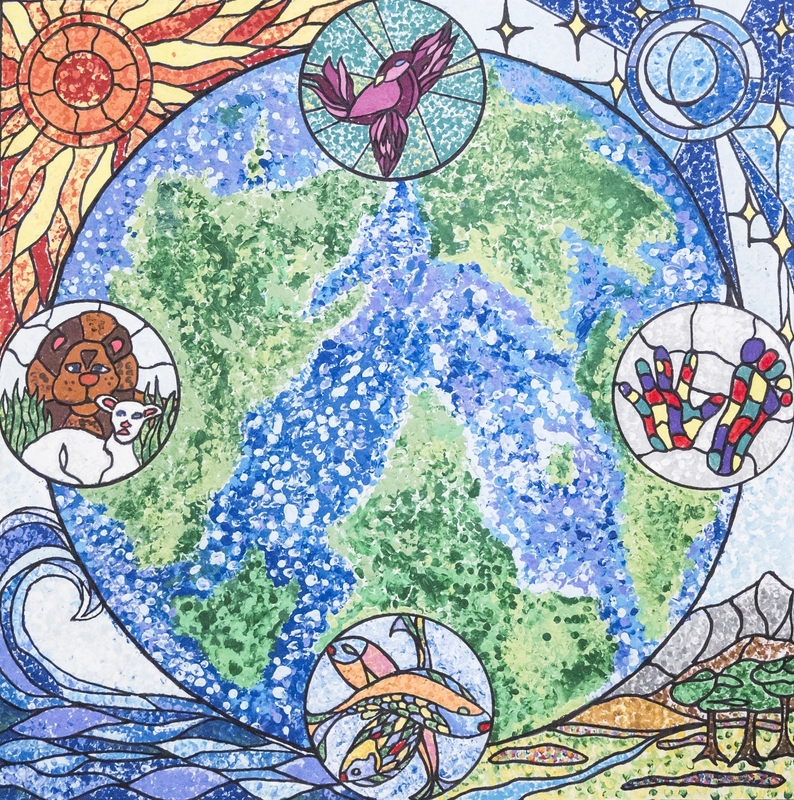 In 2010, at the summer Bible camp of St. Columba Scottish Congregation, held in the school building, there were nearly sixty Christian, Jewish and Muslim children from so many nations that the organisers were hardly able to keep count. 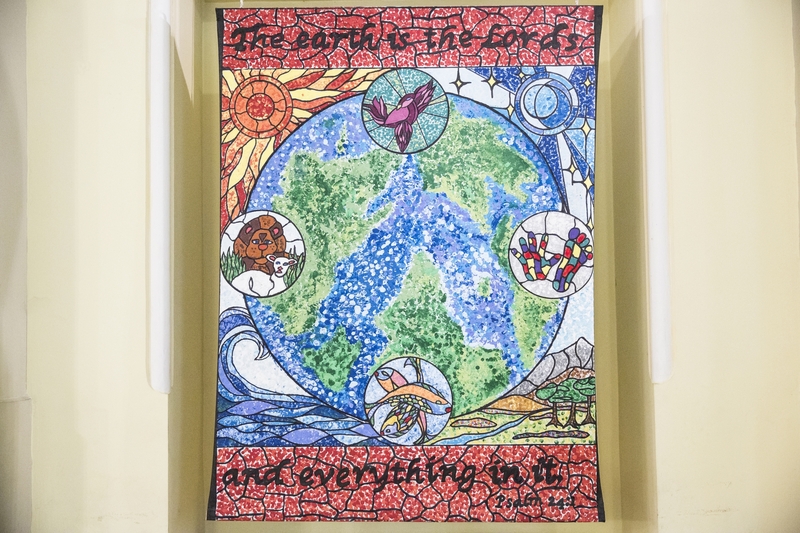 The work carried out by the congregation, in staying true to their own traditions, among the much-stigmatised refugees is inspired by the same Spirit that motivated Jane Haining, who gave her life for the persecuted Jewish children. 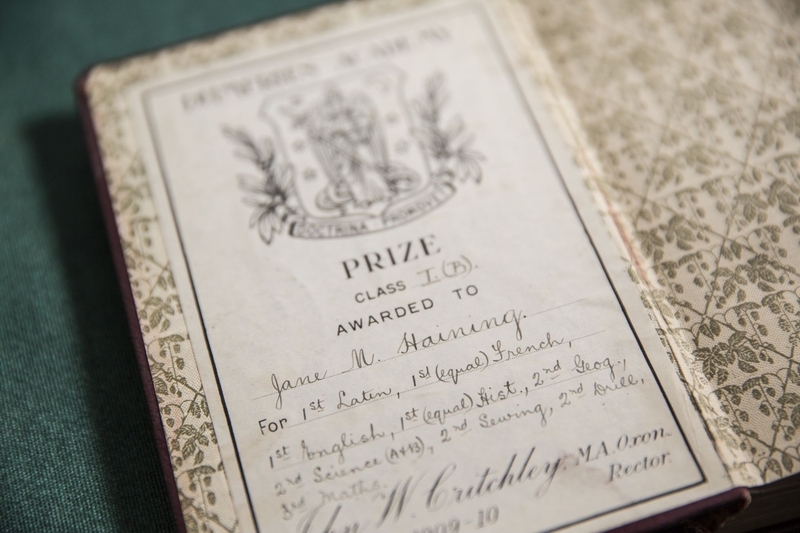 Jane Haining was the example of tolerance before tolerance was cliché. She was an authentic Christian witness among people of other faiths without forcing them to convert, and she showed great courage, because she didn't return home when she could have. I think our work with refugees is a way of continuing her legacy - reaching out to others and loving them the same regardless of our differences. The Scottish Mission has always had a recurring theme of refugee outreach, it has simply meant different things in different times. It's not what we do; it's who we are. It's not just part of our outreach; it's our identity."